Les Viner, Managing Partner of Torys LLP, is pleased to announce on behalf of the partnership that J. Robert S. Prichard has joined the firm as Chair effective September 4, 2010. In the newly created role of Chair, Mr. Prichard will represent the firm, serve clients and work closely with Torys' Managing Partner and Executive Committee on strategic opportunities for the future. Mr. Prichard has a distinguished record of leadership in the business, legal and academic communities. After graduating with an MBA from the University of Chicago in 1971, as gold medallist from the University of Toronto Law School in 1975 and with a Master of Laws from Yale Law School in 1976, he taught law at the University of Toronto, where he subsequently became Dean of Law in 1984 and President of the University in 1990. He also taught at Yale and Harvard Law Schools. 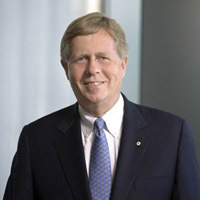 After ten years as President of the University, Mr. Prichard joined Torstar Corporation, where he served as President and CEO from 2002 to 2009. Since 2009, Mr. Prichard has served as President and CEO of Metrolinx, where he has recently been appointed Chairman. He also serves as a director of the Bank of Montreal, Onex Corporation and George Weston Ltd. In addition, Mr. Prichard serves as Vice Chair of Canada's Science, Technology and Innovation Council, a trustee of the Hospital for Sick Children, a director of the Toronto Community Foundation and Chair of the Visiting Committee of Harvard Law School. Mr. Prichard was named an Officer of the Order of Canada in 1994, and was invested into the Order of Ontario in 2000. Les Viner, who will continue in his role as Managing Partner of Torys, said: "I have tremendous respect for Rob and look forward to working with him. His broad experience in law and business makes him a terrific resource as an advisor to our clients, a mentor to our younger lawyers and a member of our leadership team. We are all very pleased that Rob is joining us at Torys." "Since my days as a law student, I have had a long and close relationship with Torys and have always had the highest regard for the quality of the firm and its lawyers," said Mr. Prichard. "Torys has a special culture of fostering collegiality and professional excellence in the interest of serving clients exceptionally well. I am delighted now to be joining the firm and working with Les Viner and all the other members of the firm as my new colleagues."